Crystal Reports .NET Error: "Load Report Failed"
I lost almost 6 hours on this issue. 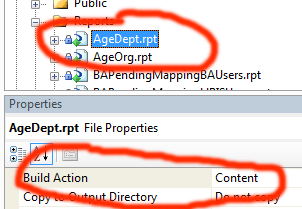 One of my VS 2005 ASP .net project was working perfectly in server and devolopment machine. I converted it from web site to web application. But after this, crystal reports started to throw errors in the server, it is still working in the local devolopment environment. Error is a general one "Load Report Failed", which can happen due to various reasons. I am using VS 2005 & Windows 7. When I try to run the web application in the debug mode following error message displayed. "Unable to start debugging on the web server. 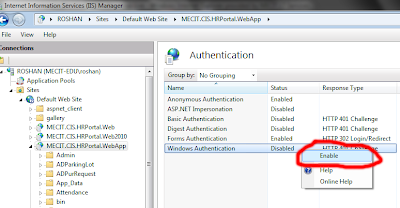 IIS does not list an application that matches the launched URL." Every time you open IDE, you can see some news section in the home page which is actually downloaded from the internet. Normally I don't use any of these links or news. So i don't mind to disable this feature which will reduce the loading time of VS IDE. Follow below steps to disable it. Open VS IDEGo To Tools->OptionsSelect Environment->startup Select the option "Show empty enviornment"Unselect the "Download content every" checkboxThats it! !